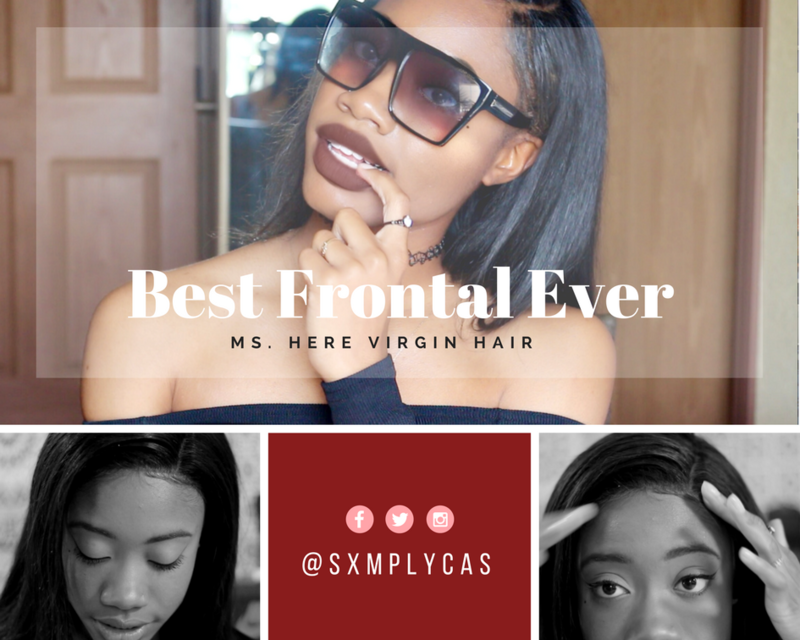 SXMPLYCAS: BEST AFFORDABLE FRONTAL EVER ? Hey love bugs ! This is my first ever blog post about the hair I'm currently rocking. If you didn't know that I have been natural for almost four years. I started my journey back in 2013 when I got a really bad perm and hair cut, but that's besides the point. Let's talk about this bomb hair. I ordered this hair because I saw a youtuber, Alexis Jeanell, review this hair. It looked gorgeous on her plus it was affordable. So I said, what the heck, why not try it out. Shipping was decent took and took about five days. Packaging was okay, nothing special. My amazing hair stylist, Patrella, once again S LA Y E D my frontal. She never disappoints me. But wait ... you have to go check out my video on YouTube to get the rest of the "tea" on this hair. Sorry I had to do it to you all like this. Go support a sista ! Once again, thank you for the love and support I've been receiving lately. Ya'll rock !